Why You Need Flood Insurance – What is Your risk? Dorchester County has over 1,700 miles of shoreline bordering the Chesapeake Bay and major stream tributaries such as the Choptank River, Marshy Hope and Wright’s Branch. The majority of the County, 55.8%, is within the 100-year floodplain. Residents are at risk from tidal flooding, strong winds, storm surge and heavy rains that can cause destructive flooding in both waterfront and inland areas. Most homeowners’ insurance policies specifically exclude damage caused by flood waters or from rising water from inadequate drainage and wind-driven rain. You can purchase National Flood Insurance at any time. There is usually a 30-day waiting period after premium payment before the policy is effective. Homeowners can include contents coverage in their National Flood Insurance Policy. Residential and commercial renters can purchase contents coverage. Business owners can purchase flood insurance coverage for their buildings and contents/inventory. Displays the Digital Flood Insurance Rate Maps (DFIRMs) for Dorchester County. These coverage areas are determine by the Federal Emergency Management Agency (FEMA). Information about flood risk and flood insurance, visit FloodSmart.gov. In the event of an emergency, please visit the Department of Emergency Services web page. Flood Gauges for Dorchester County: Bishop’s Head, Cambridge, and Salem. Fortunately, flood insurance is available to Dorchester County homeowners of property located in the floodplain through the National Flood Insurance Program (NFIP). 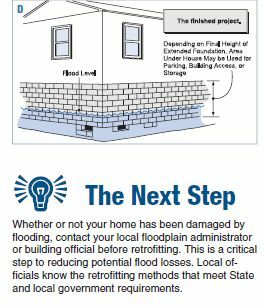 The NFIP offers flood damage protection to communities, such as Dorchester, that have worked to manage and reduce the dangers of local flooding. NFIP coverage is available to any Dorchester County owner or renter of insurable property. It does not matter whether your flood risk is high or low. If you would like to purchase flood insurance, please contact any licensed property insurance agency or broker. How do I buy Flood Insurance? Click here to find out more. Click here to see recent changes to the NFIP. Dorchester County has a score of 8 in the Community Rating System, but is projected to have a new score of 6, pending FEMA’s approval. For CRS participating communities, flood insurance premium rates are discounted in increments of 5%; i.e., a Class 1 community would receive a 45% premium discount, while a Class 9 community would receive a 5% discount (a Class 10 is not participating in the CRS and receives no discount). The CRS classes for local communities are based on 18 creditable activities, organized under four categories. Maryland Flood Insurance Rate Maps website is a comprehensive portal that will assist anyone with flood insurance information and flood risk information for Maryland communities. 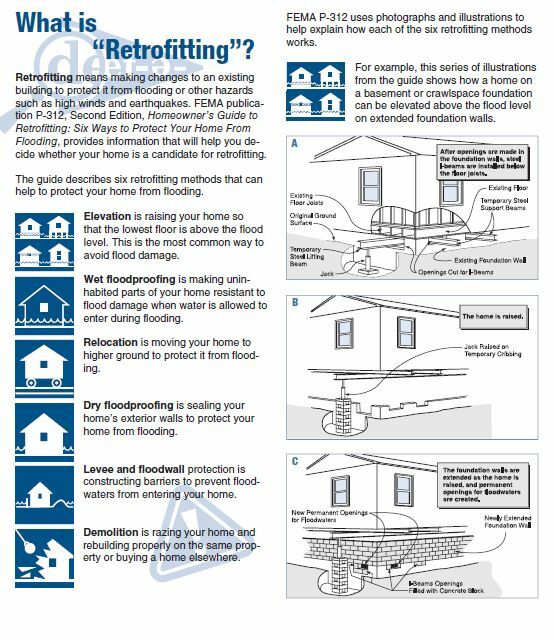 Floodplain information and NFIP brochures are available at the Dorchester County Planning Department and the Dorchester County Library. (available Dec. 1, 2012). Dorchester County Planning and Zoning Staff can also assist with the following flood map information by calling 410-228-3234. Whether a property is located within a FEMA mapped Special Flood Hazard Area (SFHA). FEMA elevation certificates if available. Dorchester County available elevation certificates for properties within the SFHA. On December 17, 2012, FEMA is launching the Online Letter of Map Change (LOMC) – a new way to submit a request to change a property’s flood zone designation. The new Online LOMC application allows anyone to electronically submit required documents and property information when they are requesting FEMA remove their property from a Special Flood Hazard Area (SFHA). Starting December 17th, applicants can use this new website to request a Letter of Map Amendment (LOMA) instead of using the MT-EZ paper form. 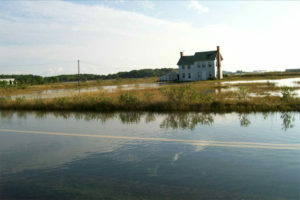 A LOMA is a letter from FEMA stating that an existing structure or parcel of land will not be inundated by the base flood. LOMA-eligible requests must be concerning properties on naturally high ground, which have not been elevated by fill. FEMA will roll out more features in the coming months! FEMA website for online change www.fema.gov/online-lomc information sheet about online change click here. The Elevation Certificate is an important administrative tool of the National Flood Insurance Program (NFIP). It is to be used to provide elevation information necessary to ensure compliance with community floodplain management ordinances, to determine the proper insurance premium rate, and to support a request for a Letter of Map Amendment (LOMA) or Letter of Map Revision based on fill (LOMR-F). As part of the agreement for making flood insurance available in a community, the NFIP requires the community to adopt floodplain management regulations that specify minimum requirements for reducing flood losses. One such requirement is for the community to obtain the elevation of the lowest floor (including basement) of all new and substantially improved buildings, and maintain a record of such information. The Elevation Certificate provides a way for a community to document compliance with the community’s floodplain management ordinance. Dorchester County Floodplain Ordinance (pdf) County adopted Floodplain Management Regulations.